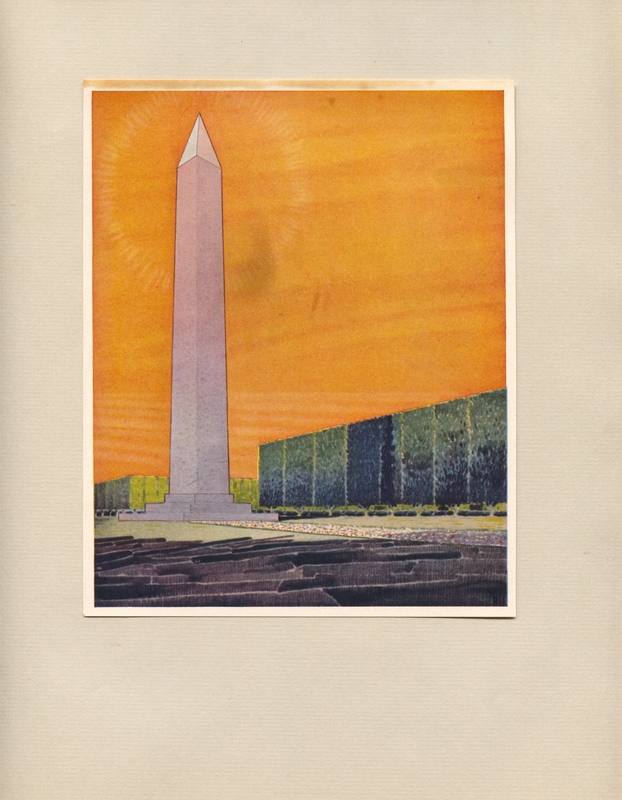 In 1928, the Georgia Marble Company of Tate, Georgia, produced a marketing piece in the form of a book titled, Memorials: To-Day for To-Morrow written by William Henry Deacy. The book was designed to showcase their memorial designs by highlighting them in the book with lush full-color watercolor illustrations of the various memorials. Along with the illustrations the book provided explanations of the symbolism found in the memorials. The book also coupled an architectural drawing of how the memorial is to be made. 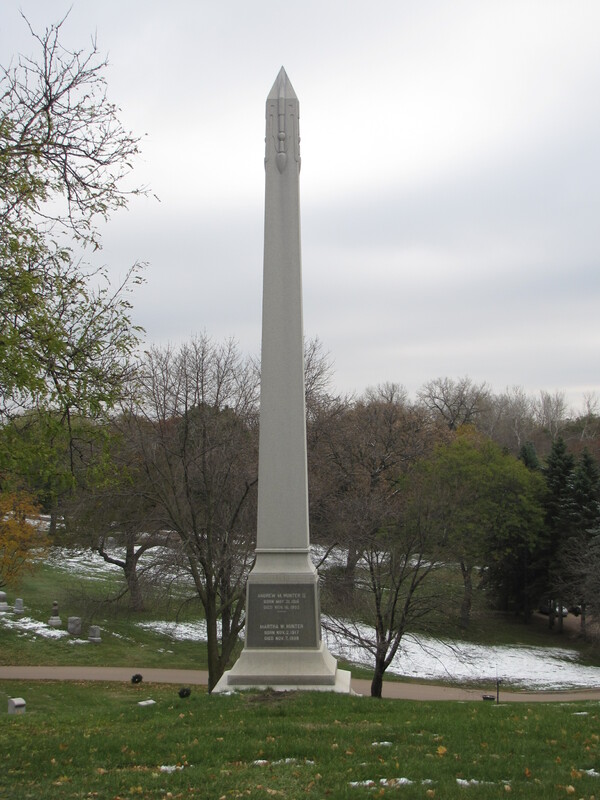 The monument they chose to highlight on pages 62-64 was the obelisk. 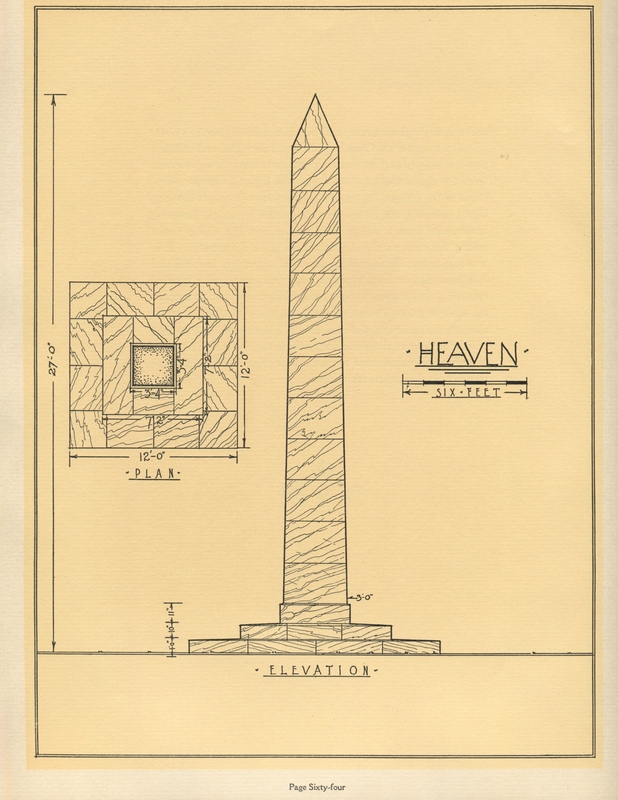 After the French and British occupations of Egypt, there was a renewed interest in Egyptian architecture and symbolism in America, including the obelisk, those tall thin four-sided columns that tapered upward and then end in a pyramid at the top. 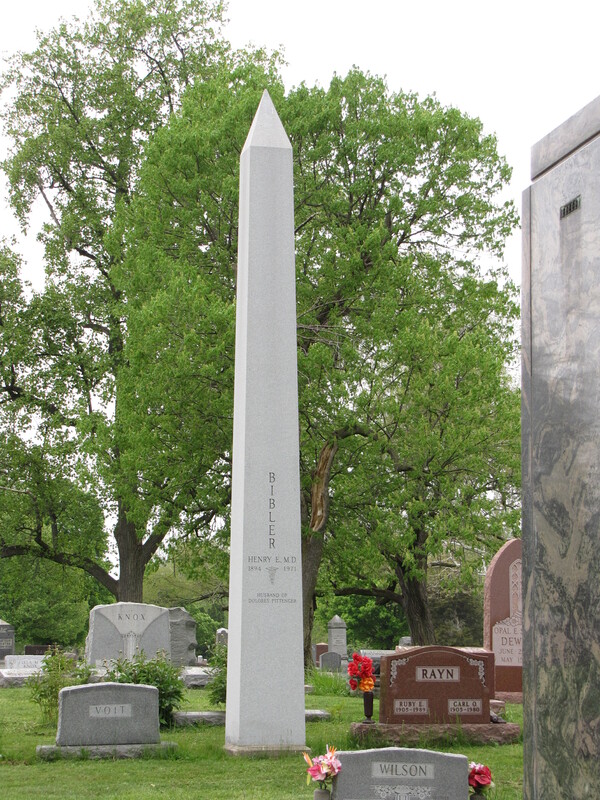 The obelisk is a ubiquitous gravestone shape found in American graveyards. The entire book can be found at the Quarries and Beyond Website: http://quarriesandbeyond.org/cemeteries_and_monumental_art/cemetery_stones.html.